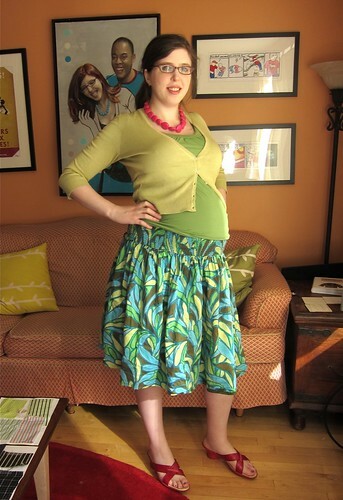 This skirt is the foundation of my spring mini-wardrobe contest plans--like the no-elastic yoked knit skirts I've been making, it should be stretchy enough to accommodate the most pregnant of bellies, but will still work just fine post-maternity. But, horrors! 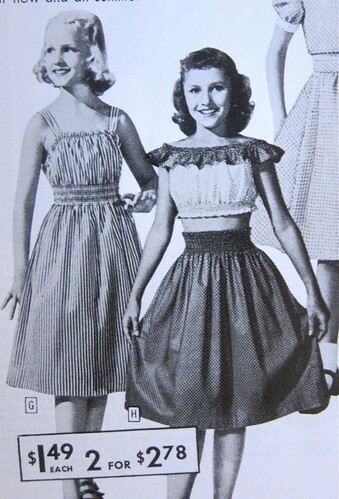 As you recall I hit a roadblock recently when I discovered that my purchased Burda shirred-yoke skirt pattern was a circle skirt that just Would Not Do with my vertically patterned purple cotton lawn. Or like this RTW reversible Gap skirt (the reverse side is a solid). It's not a maternity skirt at all, it fit me just fine before I gained 30 pounds of belly, bustage and baby, AND it is still quite comfortable in my third trimester! 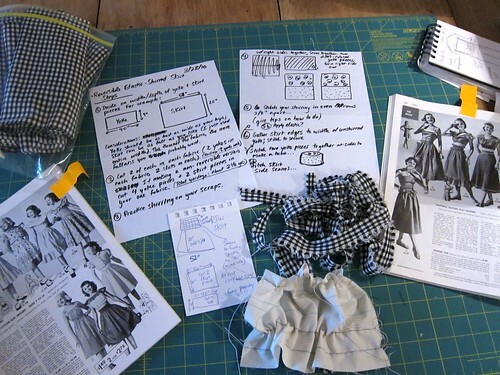 Except no pattern is really needed at all for a dirndl/full skirt--as Gertie revealed in her tutorial on a non-elastic version, it's just a bunch of gathered rectangles. 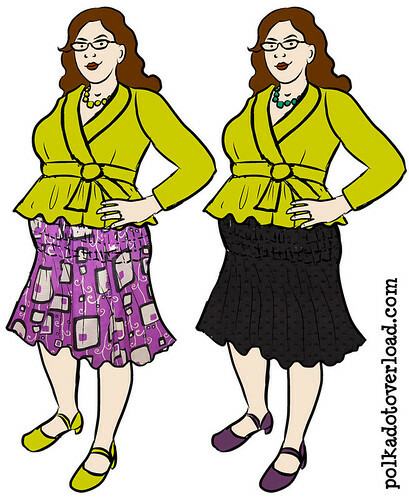 All you do is choose how full/gathered you want the skirt to be in relation to your hips (two times? three times? ), "draft" a waistband piece, gather, cut and sew. As you can see I've worked out some measurements and a likely construction sequence and cut out my (wearable) test garment pieces in a small-scale gingham ($1.50 a yard from Fulton Fabrics!). Right now I'm playing with different elastic shirring techniques on some muslin--none of my sewing reference books are very detailed on the subject, and online tutorials and advice differ widely on ideal stitch length/tension and how tightly the elastic should be wound on the bobbin. Promise? Hah! Honey, I was there. After the '40s (OK, I wasn't there) and the '50s (where I was a small child), nothing is absurd. Shirr on, baby!